UPDATE: As of July 22, 2018, this safari is sold out. Join us in November 2019 for another Tanzania Safari! 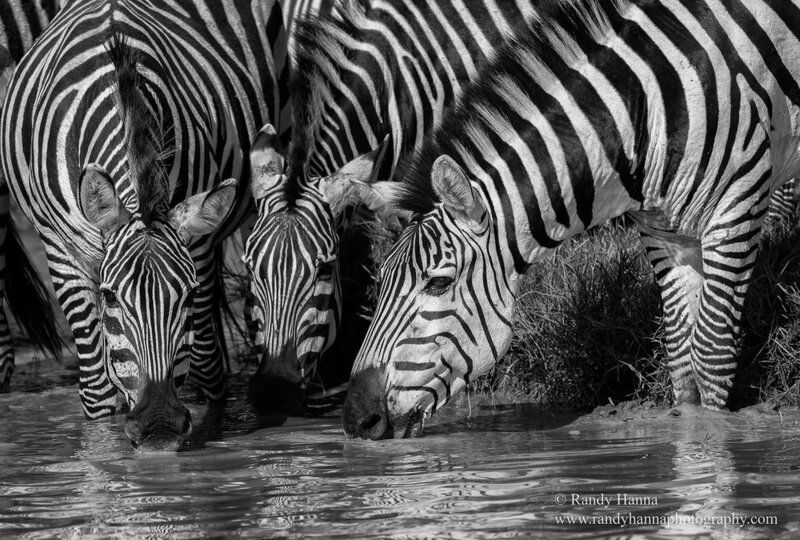 Join Randy Hanna in Tanzania to photograph the calving season of the great migration, the big cats of the central Serengeti region, and amazing vistas of the vast grassy plains. Randy has been leading safaris into the Serengeti of Tanzania since 2007 and knows the country like the back of his hand. We’ll fly everyone straight into the heart of the safari country, where we have amazing camps set up that put us right in the thick of the action! This safari is all about photography and you can expect lots of it. There will be photographic instruction and critiques along the way to make sure your safari is a success. Throughout this safari adventure, you can expect to be on safari for hours on end, treated to wonderful meals, and relaxing and sleeping comfortably in luxury tented camps that are in the perfect locations. Expect to be immersed in photographing this incredible safari environment! Muench Workshops’ African safari significantly exceeded my expectations. Phenomenal wildlife: much more abundant, much closer interaction, much more photographic opportunities than I could have ever imagined. The experience was much better than marketing would have led me to believe. It wasn’t cheap, but after it was over I realized what a great value it was. February 15, 2019: Arrive at Kilimanjaro International Airport (JRO), where you will be met by Randy and our local team, then transferred to Machweo House for your first night in Tanzania. February 16, 2019: Following an early breakfast, you will be transferred to Arusha Airport for a private charter flight to our first camp in the Central Serengeti. Our flight will take about 1 hour and will be an opportunity for you to see Tanzania from the air. You will be treated to stunning views of Tanzania’s highlands and valleys as well as colorful patterns of Masai huts and villages, farms, and wildlife. Upon landing in the Serengeti, you will be greeted by our local guides and begin the safari as we journey to our camp at Lemala Ewanjan for lunch and get ready for our first afternoon safari. 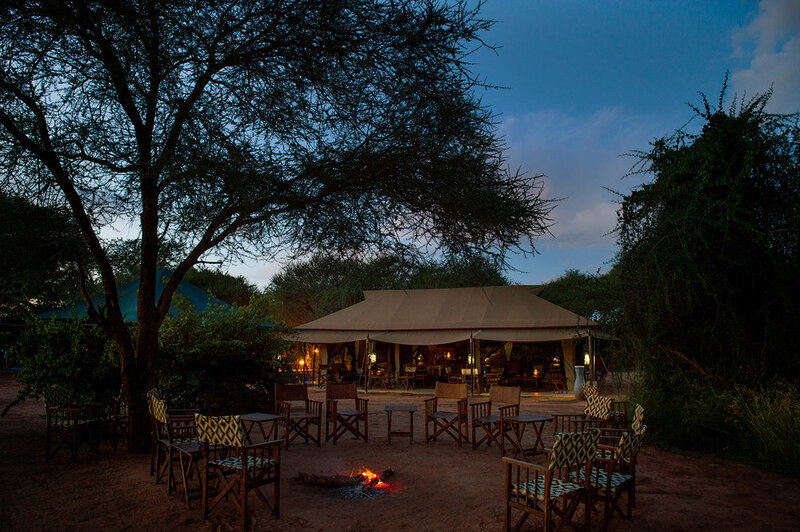 February 16 – 19, 2019: We will stay at the Lemala Ewanjan Camp, situated in the game-rich Seronera Valley on the western slopes of Makoma Hill. 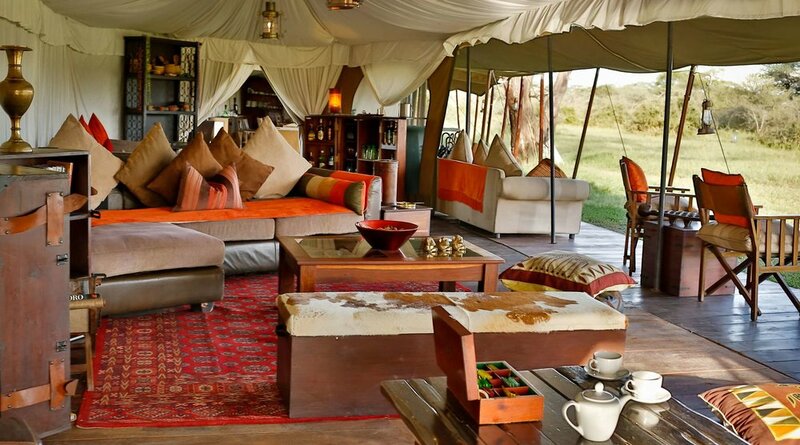 This deluxe camp with 12 beautiful tented suites offers breathtaking views of the Serengeti plains and its prolific wildlife and sunsets. The Seronera Valley is renowned for its year-round game viewing because of its plentiful water and large population of resident cats. We'll photograph large numbers of game, including elephants, giraffes, lions, cheetahs, hyenas, and leopards. Wildlife photography here is outstanding because thousands of zebra and wildebeest arrive in December and January, start calving in January/February, and attract numerous predators. We will start our days early for best game viewing, eat lunch in the field, and return late in the day as we catch the afternoon golden light. Returning to our camp at day’s end, you will have sufficient time to charge batteries, download images, and review your photos. 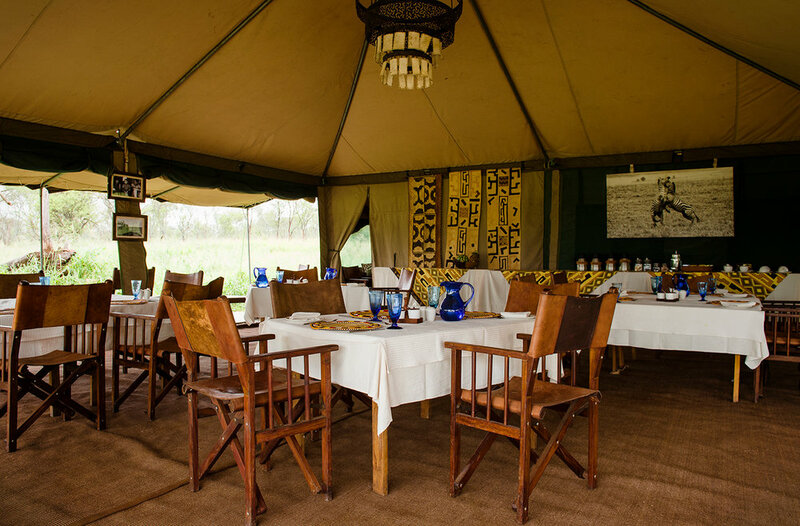 During each evening you will enjoy the flavorful, healthy foods of Tanzania during a family-style meal with your fellow safari travelers, as you share your impressions of the day’s adventures. Tents at this camp are spacious and luxurious. Each tent is fitted with 2 queen-size beds, warm duvets, a flush toilet, large safari shower, plentiful running water, wooden storage cabinets and flooring, 24-hour solar lighting, and outside loungers from which to enjoy a cup of tea or coffee at the beginning or end of each day. The mess tent is beautifully decorated with leather sofas, chandeliers, side cabinets, rugs and chests, and offers a separate bar, sitting and dining area. In the evening, you and other guests will gather around the campfire for sunset cocktails before dining under chandeliers or starlit skies. February 19-22, 2019: We will drive through the Serengeti to the Ndutu Plains of the Ngorongoro Conservation Area. 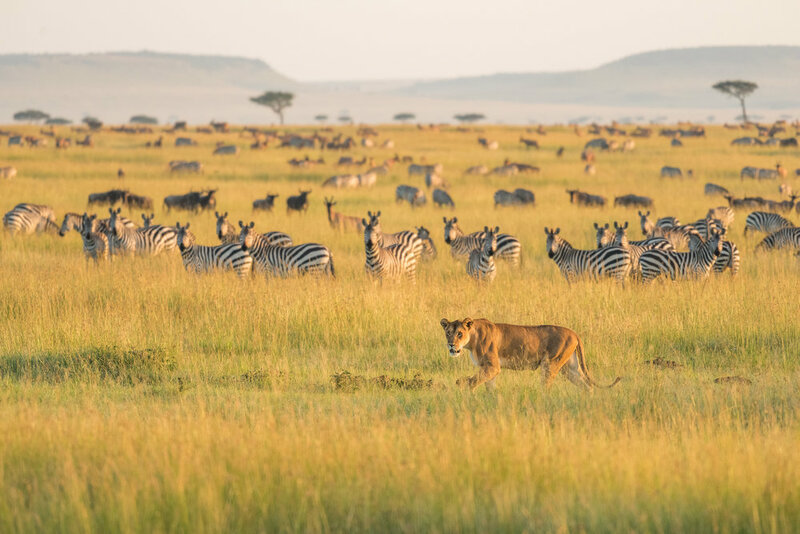 Driving through the Serengeti you will experience the vast plains and begin to understand the Maasai word “Siringit,” which means endless plains. The scenery is superb—huge open skies and endless flat plains as far as the eye can see. However, the plains are punctuated by rock outcroppings called kopjes and small forests where resident game can usually be found, including lions. 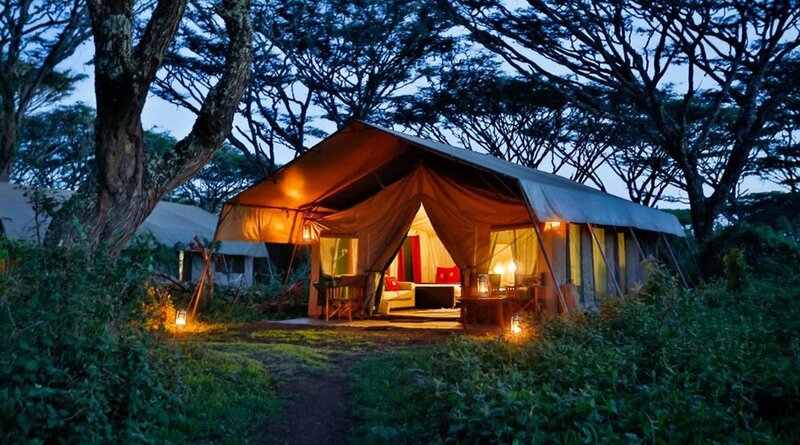 We will stay for three nights at Lemala Ndutu Camp, a luxury mobile camp that is situated among acacia woodlands near the border of the southern Serengeti. This area will be our base as we explore the Ndutu area and observe numerous game, including lions, cheetahs, and giraffes, along with massive herds of wildebeest and zebra. February 22-24, 2019: This morning we will set off in our vehicles to the Ngorongoro Crater for a full day game drive on the crater floor. This ten-square mile crater is one of the great wonders of the world and offers an incredible opportunity for viewing game, such as elephants, cape buffalo, hippos, rhinos, lions, zebras, wildebeest, hyenas, baboons, and a vast array of birds. 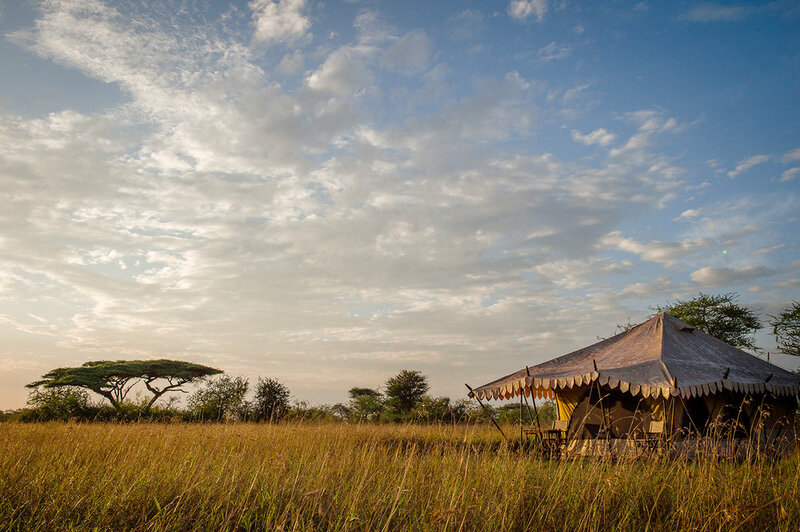 Our luxury tented camp at Lemala Ngorongoro is situated under a canopy of large, old acacia trees on the rim of the crater and looks towards the Ngorongoro Hills. The tents have wooden floors and a private bathroom with flush toilet, shower and running water. The central area of the camp is beautifully furnished with comfortable sofas, wooden chests, lamps, books, cushions, and rugs. Meals are taken inside the dining area, or alfresco under the stars. The advantage of this camp is its proximity to the crater, enabling us to be among the first to enter the crater in the early morning when wildlife viewing is at its peak. February 24, 2019: We head back to Arusha, the major city in the highlands of Tanzania, where you will catch your departing flight. If time allows, we will stop at the Cultural Heritage Center for a bit of shopping. At the Center you will find handsome wood carvings, paintings, and precious Tanzanite, among numerous other treasures. We also will visit the Shanga workshop, where physically-challenged artisans create remarkable jewelry from recycled glass, learn to blow glass, and gain skills in selling their wares. This extraordinary project will touch your soul as you learn how these artisans gain competencies and self-esteem in a culture that often marginalizes them. Before your final transport to the airport, you will freshen up in a day room, allowing you to repack and ready yourself for your journey home. In short, you’ll feel like you’re in a luxury hotel! We’ve hand picked our camps for comfort, knowledgeable and friendly staff, great food and convenience to our main objective, wildlife. We also place a huge value on isolation and exclusivity. You won't find us in areas where there are dozens of other vehicles at a sighting—rather, you'll feel like you own the Serengeti and the animals are just for you! Typical tented accommodations feature twin beds or queen bed, high thread-count linens, storage for clothing, sitting area, verandah, and of course en suite bathrooms, with toilets, hot water, and showers. They are enormous in size, bright, open, and airy. Food in our camps is superb—you’ll be served foods that you know, as well as local specialties—and of course any dietary needs can be accommodated. We’ve arranged for the best safari vehicles to be with us the entire time—custom Land Cruisers which feature ample room for you and your gear, and great visibility. And only one photographer per row of seats. All of our camps feature daily optional daily laundry service (but not on days we travel in between camps). Photography and Safari Guiding: Our leaders are accomplished pros, teachers, and safari leaders. We’ve personally chosen only the best local safari guides for this photographic safari. Travel to and from Kilimanjaro Airport (JRO) in Tanzania. Passport and visa fees, if any. Medical Evacuation Insurance (required). Travel Medical and Trip Cancellation Insurance (optional, but recommended). Soft drinks and top shelf alcoholic beverages. Meals before dinner on February 15th and after lunch on February 24th. Anything not listed specifically as included. Your deposit of $4,000 USD will guarantee your spot. A second payment of $4,500 will be due August 1, 2018. The final payment of $3,495 USD will be due not later than November 1, 2018. These payments are non-refundable which is why we recommend that you get trip cancelation insurance. All of our other terms and conditions apply. Please do not make air travel arrangements until checking with us first. Need special payment arrangements for your deposit? No problem, just ask us. This workshop is strictly limited to eight guests, so if photographing the amazing wildlife and landscapes of Tanzania with a small group and the best pro instructor, and amazing camps is what you want, click the "Sign Me Up!" button now and we'll see you in Tanzania!